We wanted to tour the Dolomites while using a base in Verona, however that deserved more than a day trip, so we planned the trip to Lake Garda. 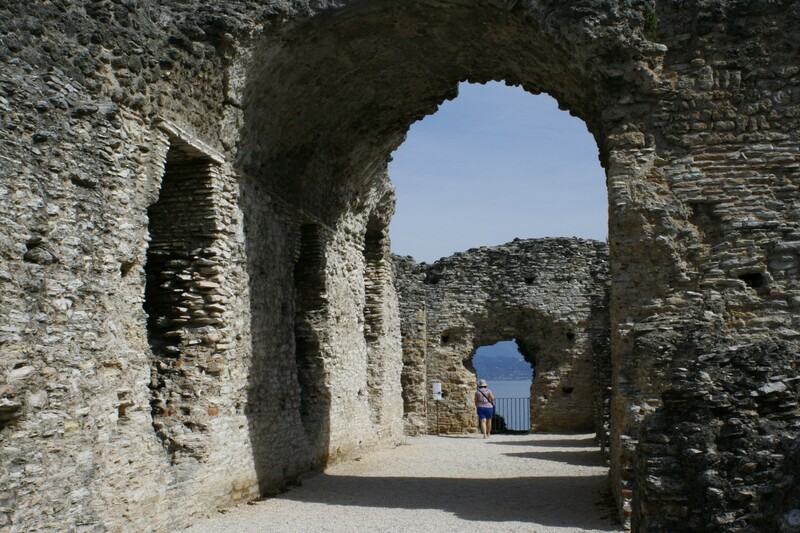 We commenced from Verona by bus to Peschiera then ferry to Sirmione and a tour of the del Grotte di Catullo. 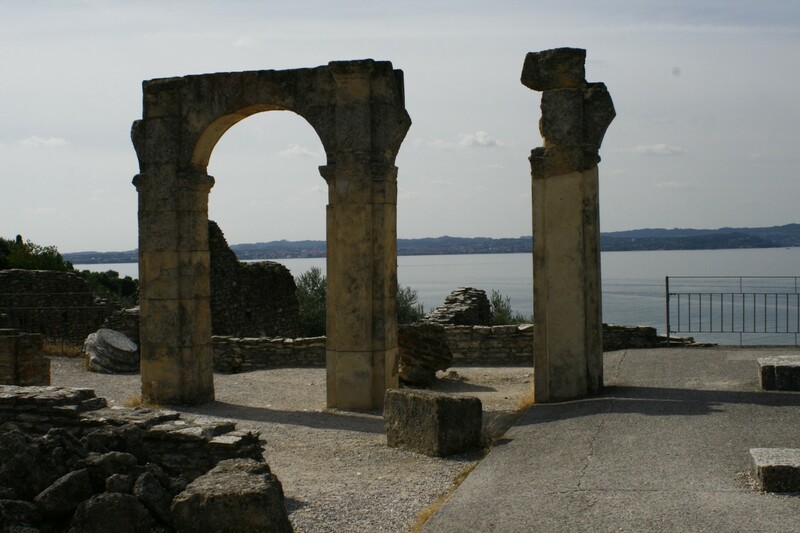 Sirmione has a wonderful archeological site: Del Grotte Di Catullo Museo, the remains of a high class Roman villa (1BC-1AD) built on a promontory of a long piece of land on the south side of the lake. We returned by catching the ferry from Lazise to Garda where we caught the bus back to Verona. This took the whole day and into the evening. 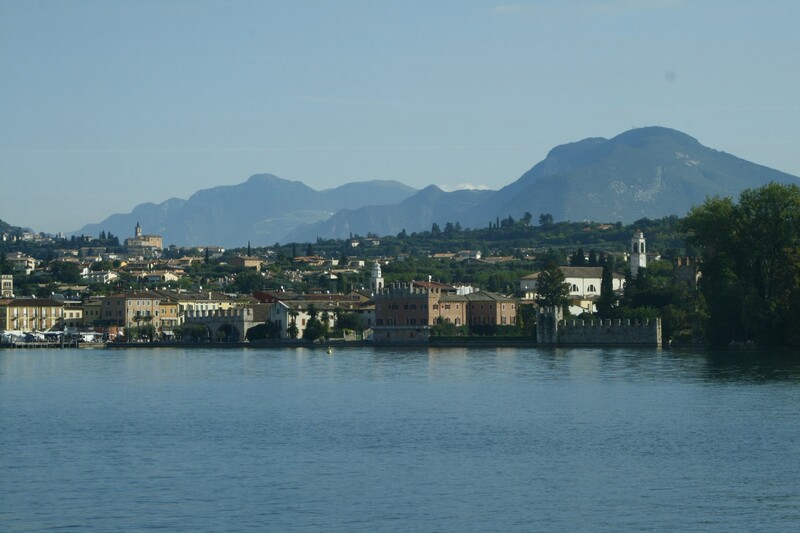 If you take an overnight bag you can ferry north and enjoy a couple of evenings in the towns on Lake Garda e.g. Limone sul Garda. If you have several days you can combine the trip from Verona to the lovely little town Limone sul Garda (on north western shore Lake Garda), stay a night or two then onto to Bolzano and into the Dolomites – by bus and train. There are many walking trails up in the Dolomites in the summer. It’s very picturesque. I was hoping to do this but our time was running out so perhaps next time. Remember TTGolf can help you with accommodation bookings and intercity train ticket bookings. We never had a glitch with Tanya when booking accommodation or train or flights. She advised us on how to use Eurail which worked perfectly.